Heart shaped for your special dog! 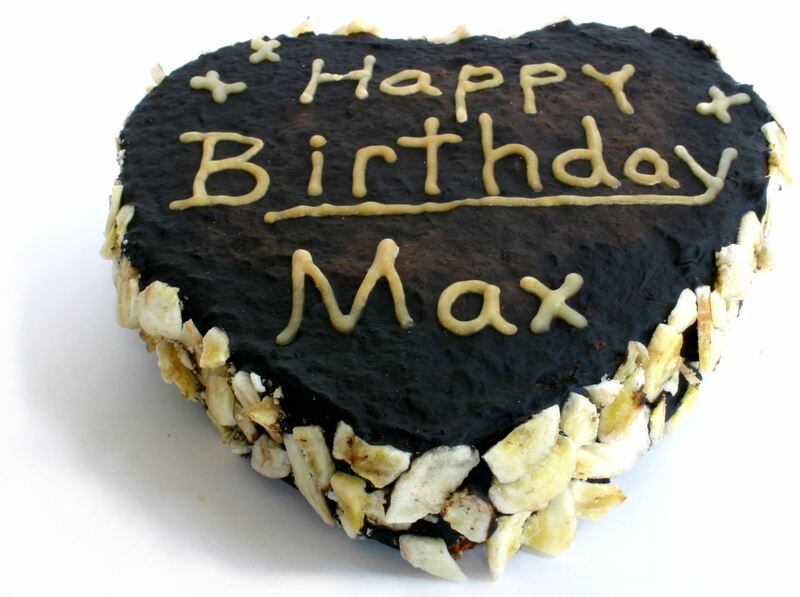 A moist cake made with fresh bananas, oatmeal, and rice flour, coated with a fudgy carob frosting and topped with crunchy banana chips. Personlalize for Valentine's Day.